Thursday brings us another relaunched hotel program. Yesterday we brought you the details of Kimpton Hotels relaunched program and they are not the only ones to have a change. Spanish based NH Hotels who have hotels in Europe and Latin America have also relaunched their program as NH Rewards. 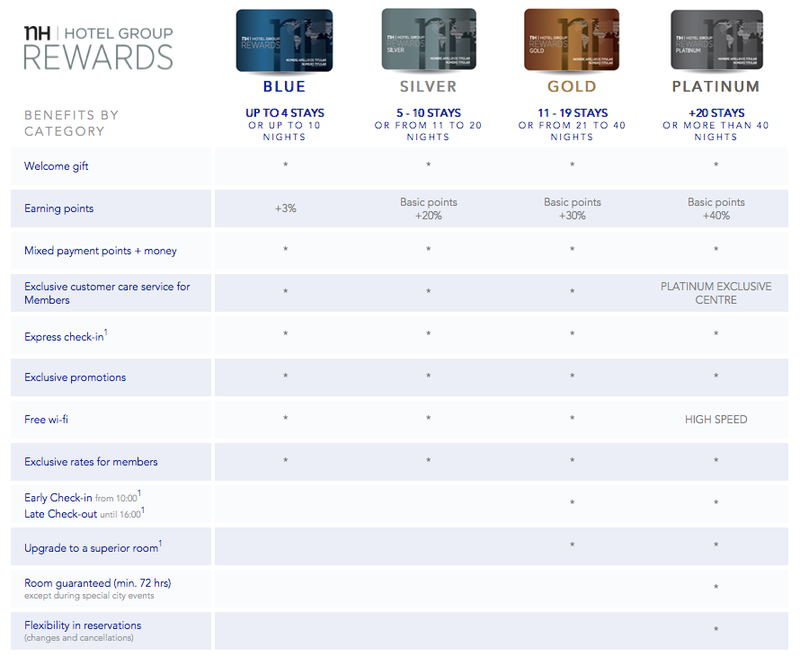 NH Rewards now awards 3% of your stays in points (essentially a 3% cash back program) which is higher return than some of the other cash back type hotel programs like World Hotels Peakpoints and Preferred Hotel Group's iPrefer. The new program also offers to option to use your points at anytime for redemption via their cash+points option. The interesting thing with the new NH Rewards is they will always reward you with the 3% back whether you pay for the stay with cash or points! Elite levels in the program are awarded even more points and more benefits. No matter what, if you have an NH Hotel stay you should join the program to make sure you get free Wi-Fi. Find out more about NH Rewards here. In case your wondering, the winner for our Aeroplan Turns 30 contest has been picked, we are just waiting to hear back from them! Be sure to check your Twitter Direct Messages to see if you are the one! Hotels.com Canada Rebate - Save between $20 and $100 on all hotel bookings now with Hotels.com! - 500 Bonus PINS when you book a hotel via PointsHound. More... Until ?